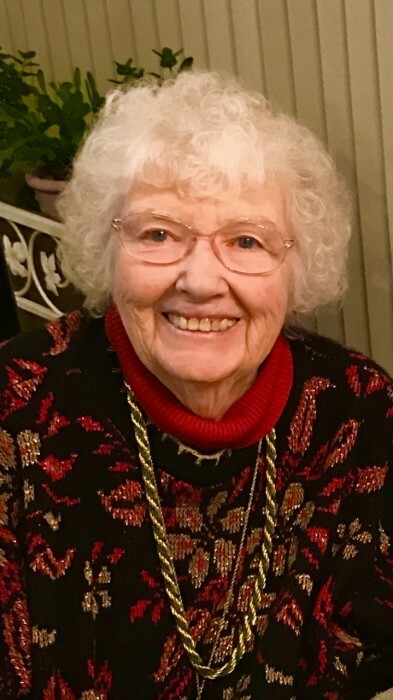 Maureen Brodeur (86), passed away peacefully, surrounded by her family, on March 20, 2019 at Morristown Medical Center. The daughter of Anna Mae (Hart) and William H. Hyland, Sr., she was born May 22, 1932 and grew up in Fall River, MA. Maureen graduated with honors from Mount Saint Mary Academy. She went on to study to be a nurse at Union Hospital School of Nursing graduating at the top of her class. While working as a nurse at the VA Hospital in Providence, RI, she met her future husband, Ronald. She moved to NJ and lived in Edison, Metuchen and Convent Station. While in Metuchen, she worked as a school nurse for many years and was involved in St. Francis of Assisi Parish activities. When she moved to Convent Station, she became an active member of the local Chapter of AARP, Florham Park Senior Citizens Club, Florham Park Historical Society and The Suburbanites. Maureen loved nothing more than her family. Maureen was preceded in death by her siblings Anne Perry, Donald “Butch” Hyland and Jean Blanchette. Surviving Maureen are her beloved husband of 59 years, Ronald; her children, Maria (Edwin Ludwig), Marc (Valerie), Catherine Shahinian (Toros), David, Suzanne Simony and Patricia Crespo (Daniel); her brother William H. Hyland, Jr.; and many grandchildren and great-grandchildren. Memorial Visitation on Monday, March 25, 2019 begins 9:00am at St. Thomas More Church, 4 Convent Road, Morristown, NJ, followed by a Memorial Mass at 11:00am. While we appreciate your sentiments, please do not send flowers to the church or the home. In lieu of flowers, please donate to your favorite charity in Maureen’s memory.